Note that sometimes, one of these categories may be missing in a template, that’s cause you can customize it to your personality and needs. Sometimes you don’t need all those informations, it depends on the job you are seeking as well. But it’s a good start if you can add all these. 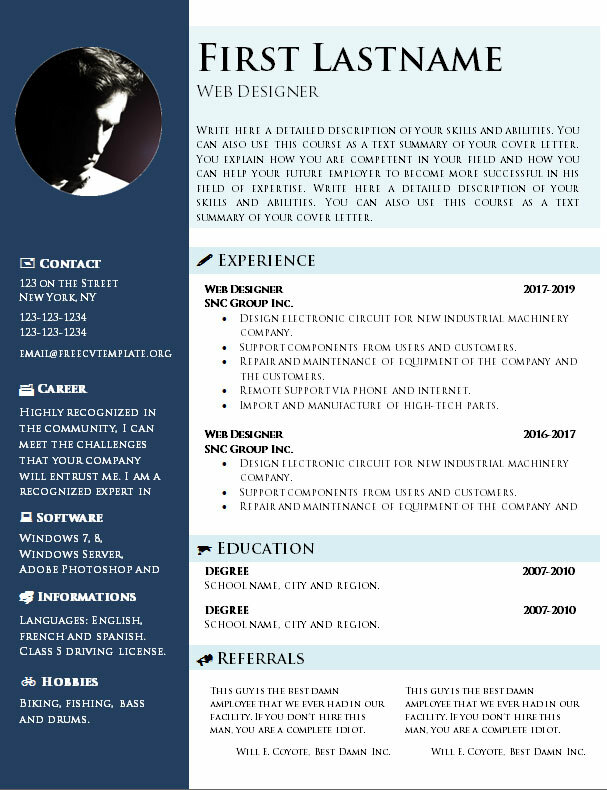 The CV below it easily editable with MS Word or any other text formatting software… if you don’t have any money to buy it, use OpenOffice, which is free and works perfectly for this job. Contact: This section contains your name, address, phone number, email and you can even add a link to your Facebook and LinkedIn profiles. Career: Add your career objective here if it’s good for the job you are hunting. Software: List all computer software you can use for the particular work you are applying on. Hobbies: List your hobbies if you have some. 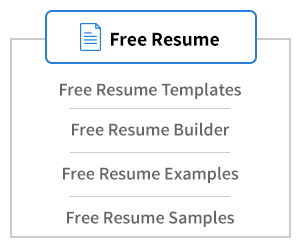 Experience: List the latest job employment you had in the past, recruiters want this information really bad! Education: Fill in the schools you attended and diploma you received. 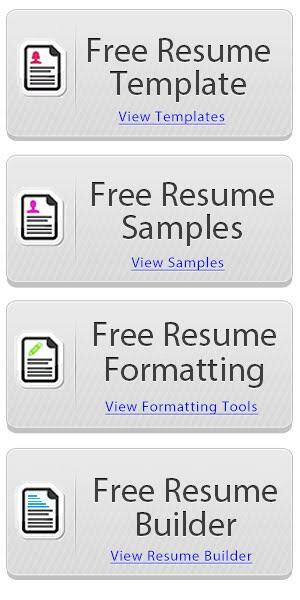 Referrals: It’s not always necessary to add this information, but can be very useful for the recruiter. That’s it, you are good to go. Print your piece of art document and be proud to show it. 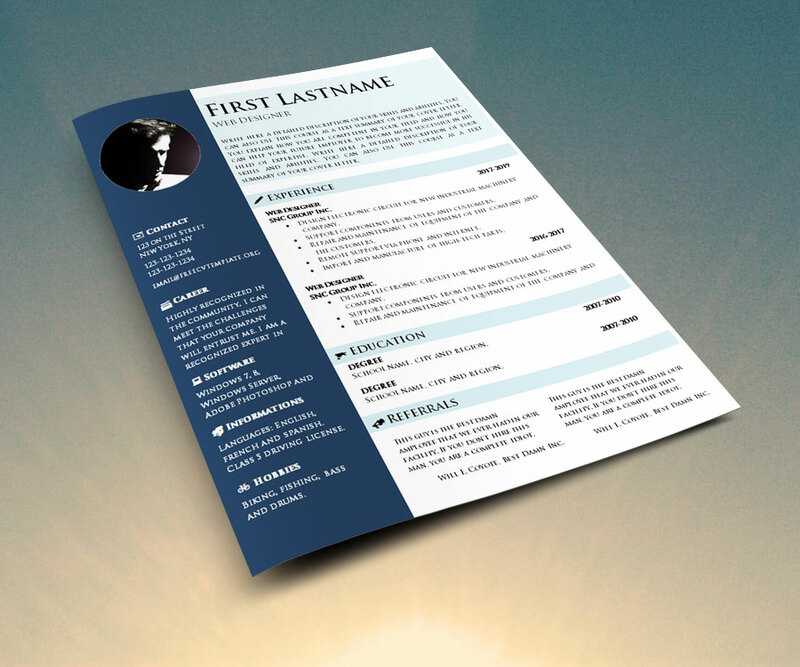 When it’s done nicely, it proves you can use a text formatting software and that you have skills to sell yourself. Good luck, we know you’ll get that job of your dreams! Now, before you begin, you need to download our file, save it on your computer and modify it. You’ll have a box that will open, choose where you want to store the file and remember where it is cause you’ll need it to open it up in Word or OpenOffice. 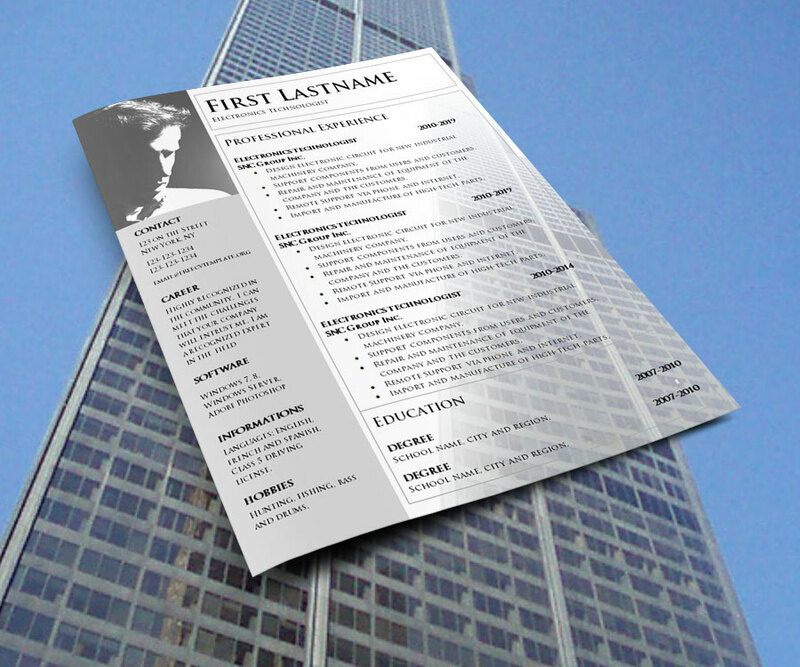 Use this page as a structural guide to help you populate your resume. Once again, BE PROUD to show it around, it will amaze recruiters, that’s our promise to you. You just have to click on the download link here to save the file on your computer… it doesn’t work? 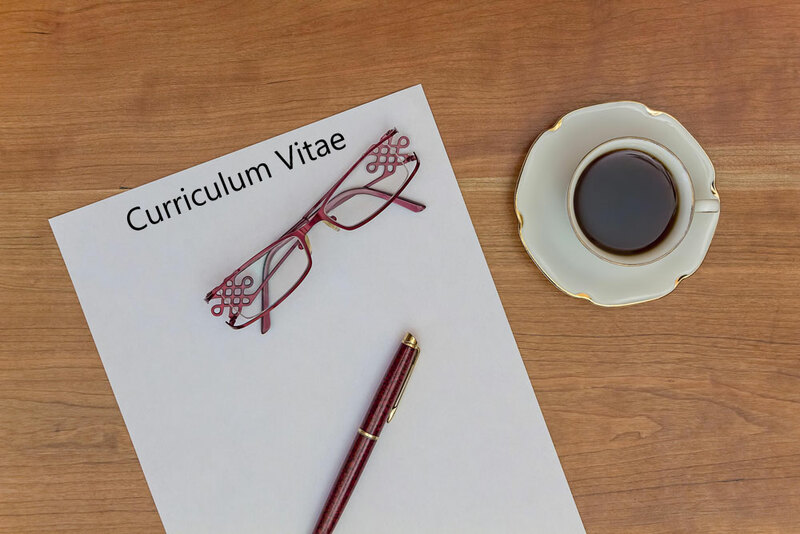 Career Objectives: To obtain a position in a challenging environment, which offers the opportunity to continue learn, use perception and technical skills, and enhance productivity in the work place, Hence, a leading company like yours has to be a prior choice to reflect the objectives. 1 Year as a personal driver to Mr Neil Griffiths, Faculty, American International School/Dhaka from August 2016 to Present. 1 Year as a personal driver to Mrs Amber, Faculty, American International School/Dhaka from August 2015 to July 2016. 2 Years as Personal Driver to Mr Jerry Buckner, Director of Admissions & Student Services, American International School/Dhaka from August 2013 to July 2015. 13 Years as an Assistant Administrator of Vehicle repair, maintenance and documents in Proshika Manobik Unnayan Kendra from 2001 to 2013. 2 Years as a Driver in SIR WILLIAM HALCROW & PARTNERS from 1984 to 1986. I, the undersigned, certify to the best of my knowledge and belief that the mentioned data are correct which describes my qualification and me. Thank you so much for your comment! 🙂 Very glad you think so! Thank you very much for your comment Latif. Good luck with your job search! You’re at the right place to get started. 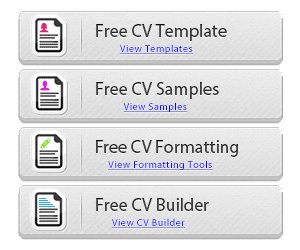 Use one of our templates and modify it to create your own. Good luck getting that better job of yours! Thanks to new concept for making CV. Love this template. Keep going.